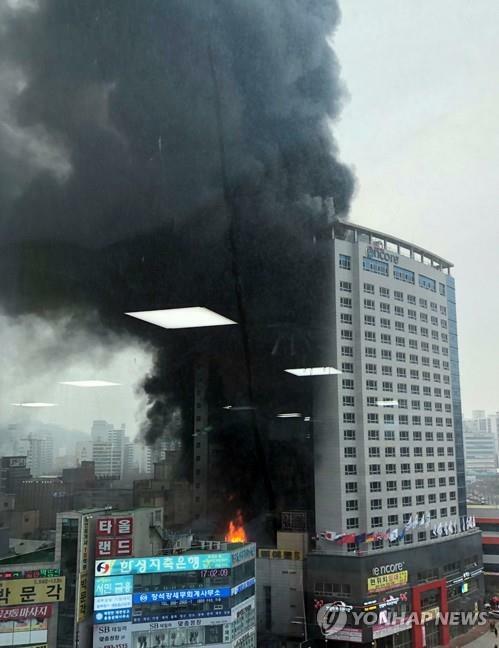 A huge fire tore through a 21-story hotel in Cheonan, South Chungcheong Province, on Monday, leaving one employee dead and at least 19 others injured. 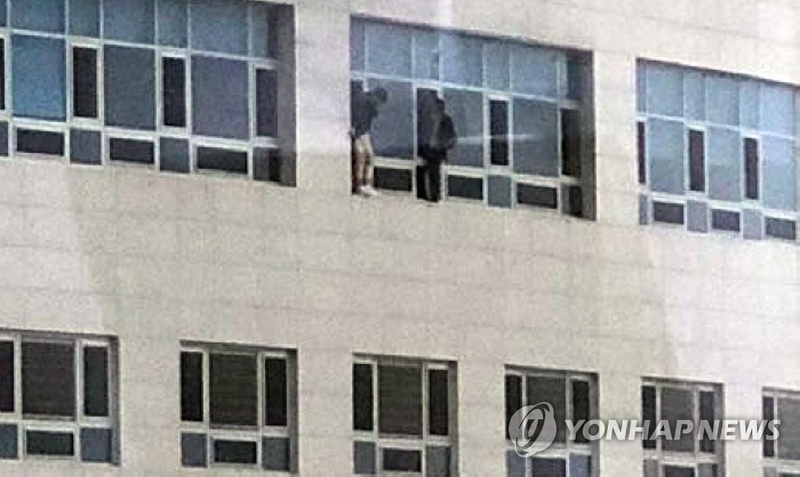 The 53-year-old hotel worker was found dead on the first basement level of the Ramada Encore Cheonan hotel, authorities said. Nineteen people, including four firefighters, suffered inhalation and were sent to a nearby hospital. Three of them were severely injured. Some of them are unconscious, a source said. The fire broke out at the 21-story building in the city’s downtown at around 4:46 p.m. The fire is believed to have started in the basement. The blaze was put out about four hours later, with its exact cause still unconfirmed. The hotel, which has a total of 420 rooms, opened in September last year.